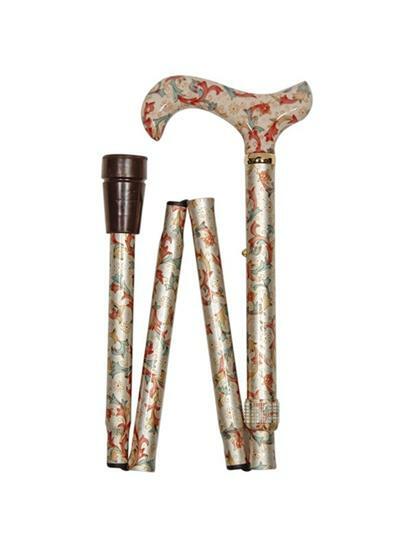 Cream Floral Walking Stick Foldable For Easy Storage. If you're the sort of person to whom looks are important as function, you'll find something to your liking with this item. It's a pretty, contemporary walking stick with an all over flower pattern. 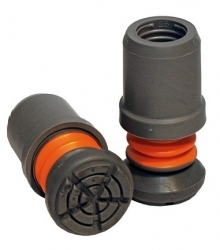 This stick isn't just a pretty face though - it offers excellent support to the hand with its comfortable handle, which is also shaped to be hooked over the arm when not in use. 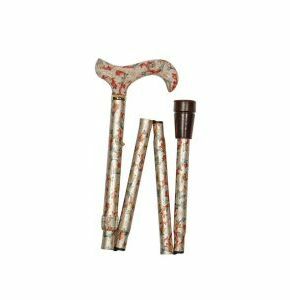 What's more, this walking stick with flowers easily collapses into four foldable sections allowing easy storage when not in use. Very nice Stick. Excellent service.